Securities and investment advisory services offered through registered representatives of Cetera Advisor Networks LLC, member FINRA/SIPC.  Bank of Utah is not affiliated with Cetera Advisor Networks LLC. Investments made with Cetera Advisor Networks are not FDIC insured, are not insured by any federal government agency, are not a bank deposit and may lose value. No bank guarantee. No trade instructions can be accepted without verbal confirmation.